When you book your special vacation, thoughts of floods, hurricanes, airline strikes and unforeseen illness may never enter your mind. You envision a holiday filled with breath taking scuba dives, great meals, time alone with that special someone, or maybe just relaxing on the beach and putting the "real world" behind you for a few days. Most of the time, that is exactly how your Island Dreams' vacation will work out. But occasionally, a reality of a different kind can interrupt those dreams of the perfect vacation: a hurricane can hit your vacation island; the airlines may announce they are on strike and will not fly when you are scheduled to travel; or you may learn a family member has become ill and you are needed at home during your long-anticipated getaway. Many of our clients plan their holiday's months in advance. It can be extremely upsetting when unfortunate, and unforeseen, instances arise. In fact it can happen that, while your vacation is paid in full, you must cancel at the last minute, and the airlines and resorts may not be willing to refund your money. We at Island Dreams are certainly sympathetic to your situation. We routinely work hard and long to obtain refunds on behalf of our clients. But there are limits as to what can be done when the airline or hotel's final answer is "sorry, but no refund". That is why we recommend TravelSafe Travel Insurance to our valued clients. In the final analysis, insurance protection is a small price to pay for peace of mind, and is potentially a godsend when a problem occurs. Illness / Death in the Family - This covers immediate family members of yours or traveling companion either at the time of departure or during the trip. If necessary, the expense of an early return home may be covered. Adverse Weather Conditions - This can cover hurricanes (not yet named at time of purchase), tidal waves, etc. Schedule Delays - Delayed luggage or delayed flights even due to weather. The airlines offer no compensation when delays are "acts of God". Insurance can provide you with coverage for lodging, meals and other expenses incurred. If delays exceed two days you may have the option to obtain a refund on the trip. Medical Evacuation - In the event you require medical attention and it is not readily available at your destination, this coverage can get you to a medical facility equipped to handle your emergency medical care. In the past we've had all kinds of instances in which a customer has chosen not to purchase insurance because they fully intended to travel. Insurance is for those unforeseen circumstances that impact your travel plans. Below are some of the things that have actually occurred. In some instances insurance was purchased and the customer was successful in getting compensation, in others the customer had no insurance and was at the mercy of the events. A client steps aboard a dive boat to go diving, falls and breaks his leg. The remainder of his trip is spent in a hospital bed. A honeymoon couple, just arrived at their destination, learns the grandfather of the Bride had just passed away. They must immediately fly home for the funeral. A hurricane made it impossible to travel to a destination that had been seriously impacted. The airline and hotel offered a credit for future travel but the clients were unable to rebook within the window offered for a replacement trip. High winds closed down an island airport for two days in a row. The hotel would not offer a refund, as they were ready to receive the guests. Such an "act of God" as wind is not reason for the airline to offer any compensation. Only those protected by travel insurance were able to get a refund for the cost of their lost vacation. The other passengers waited for the third day, flew to the destination, and were met with winds still sufficiently powerful to make diving impossible. Voluntary Cancellation (of any kind) - You cannot simply opt not to travel and be refunded. Jury Duty - This is not covered. 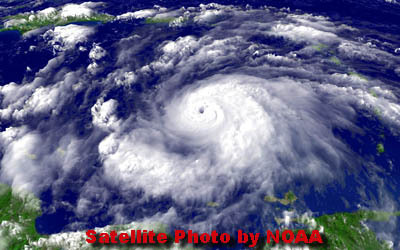 Named Tropical Storms - Once a storm has been named, it is too late to purchase insurance and be covered for hurricanes. War or Acts of Terrorism - Travel insurance does not cover you in these eventualities. Pregnancy - Planned, or unplanned, pregnancy is not covered, even in the early stages. Work-related Conflict - Such work conflicts are not covered. This also applies to deployment of military personnel. Premiums are Non-Refundable - Like any insurance policy, you are paying to insure against disasters and unforeseen events. Such premiums are non-refundable, whether the insurance is used or unused. Disclaimer: The information above is provided for your general consideration only. Island Dreams is a seller of travel. We are not insurance agents, nor experts in the subject of insurance. We simply make travel insurance available to our clients. We encourage you to investigate the coverage fully and ask questions of the insurance provider to know exactly what your coverage does and does not entail. All questions regarding coverage should be directed to the insurance company directly, and not to Island Dreams Travel.